On November 27, 2000, ten year-old finished school and set off for a computer club meeting at his local library. CCTV cameras recorded him bouncing and skipping along in his distinctive silver Puffa jacket without a care in the world. At around 4.45pm he began his walk home to  St Briavel’s Court on the North Peckham Estate where his mother Gloria was waiting with his dinner. Damilola,who was brought up in Nigeria, had only arrived in Britain with his family three months earlier. The Taylors believed a new life in Britain would help their daughter Gbemi get treatment for a severe form of epilepsy. Damilola hoped to become a doctor and discover a cure for his sister’s condition. But that day he never made it home. Nobody witnessed the attack which took his life or heard any sound of a struggle or cry for help. All that remained was a trail of blood which carpenter Guillermo ‘Bill’ Casal followed to a stairwell in Blakes Road, Peckham. He climbed the steps to the second floor and found Damilola slumped against a wall with blood pouring from his thigh. While waiting for the ambulance, Mr Casal looked up and saw three small black youths standing in the road watching. One of them looked up at Mr Casal and made a gesture with his left hand across the thigh of his left leg. Damilola had been stabbed in the thigh just above his knee and bled to death from an injury to his femoral artery. As a murder investigation got underway, Damilola’s mother revealed that her son had complained of being bullied two days earlier. VICTIM OF THE SCHOOL BULLY? Gloria Taylor said in a statement: ‘Damilola had been in a fight. Damilola had walked the same route every school day and appeared unlikely to have been targeted by muggers. MrsTaylor told police: ‘Damilola used to take only his schoolwork and drawings to school. I never gave him pocket money so he wouldn’t have had any with him. The only thing that may have attracted the attention of the killers was his silver Puffa jacket of which he was so proud. Police officers had also discovered the broken pieces of a glass beer bottle at the start of the blood trail. These were later reconstructed in the laboratory and a dagger-like shard was confirmed as the most likely murder weapon. A post-mortem examination also revealed a glass marble was lodged in Damilola’s throat. Although detectives investigating Damilola’s death hit a wall of silence in the community, the team were given several names by youths in the Peckham area. Rumours had spread that a notorious local gang known as the ‘Younger Younger Peckham Boys’ were responsible. The group was known to menace the area, mugging younger boys for their valuables and pocket money. One girl actually named Danny Preddie to police and claimed he had confessed to killing Damilola because of a fight after school the previous day. But initial investigation revealed tha tthe 12 year-old had been under 24 supervision at his home and a book recorded him being present that afternoon. 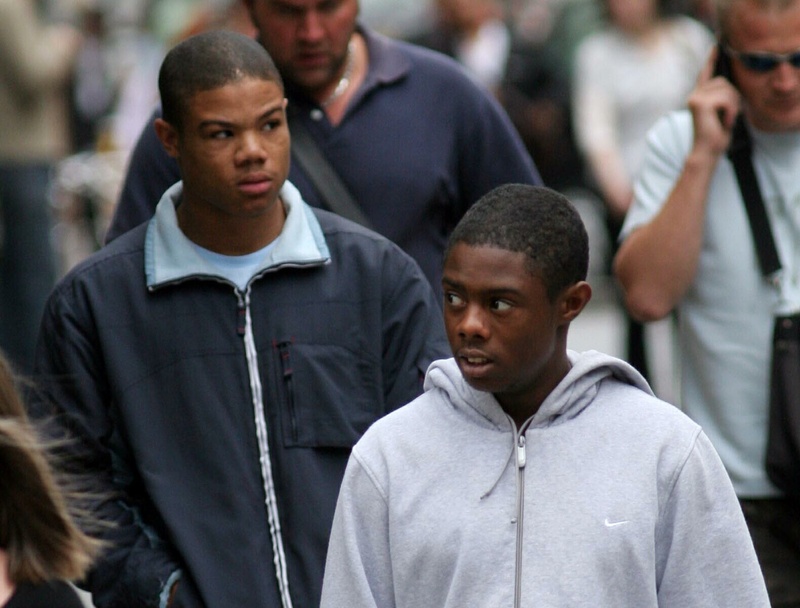 Danny Preddie was just one of eleven boys arrested by police during their initial inquiries. Clothes were seized and homes searched but initial scientific examinations revealed no evidence to directly link any of the youths to the killing. Faced with a possible stalemate, detectives were amazed and delighted when a teenage girl came forward to give crucial evidence. The witness -codenamed Bromley – was a compulsive truant at school and had a history of ‘dishonesty, violent and disruptive behaviour’ in the classroom. At first she claimed only to have heard secondhand that four youths – later known as Boys A, B, C and D – were responsible. But under pressure from police and with the offer of £50,000 reward she claimed she had actually witnessed the incident from behind a parked car. Detectives later admitted they were overjoyed to find their ‘knight in shining armour’ and concentrated the inquiry on the four youths. As a result they eliminated the brothers Ricky and Danny Preddie who had previously been prime suspects. 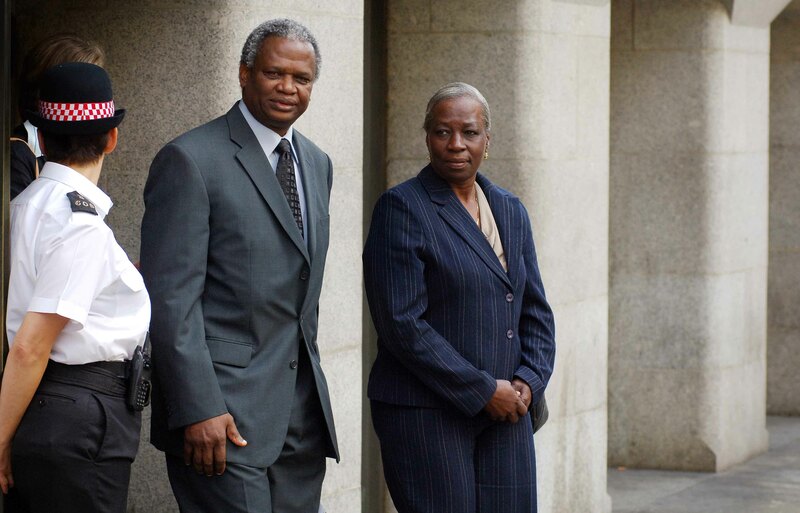 With pressure mounting to lay charges, the police and the CPS agreed to go ahead and the trial began in January 2002. In court Bromley was quickly exposed as a greedy attention-seeker who had,in the words of defence QC Lady Ann Mallalieu, ‘taken the police for a bunch of mugs’. She ridiculed the justice system as she ran up a bill of more than £4,000 during a week-long stay in Surrey’s Selsdon Park Hotel- formerly used by football teams on FA Cup final day. The girl spent hundreds of pounds each day on room service, bar bills and telephone calls before being thrown out for starting a fire. Officers bought her a CD player, clothes, trainers and took her on jaunts to the seaside, amusement arcades and restaurants. She was even enrolled at an expensive independent school but walked out after just one day. Her behaviour in court was so bad her evidence was thrown out by the judge, resulting in boys C and D being acquitted before the start of the defence case. The two remaining boys, 16 year-old brothers A and B, were cleared by the jury after their mobile phones placed them two miles from the scene within minutes the killing. In another twist, it emerged that they were seen with the Preddie brothers just minutes after the attack on Damilola. It was only a thorough reinvestigation by a different team of detectives in 2003 that forensic evidence was discovered proving a direct link to the Preddie brothers. Damilola’s blood was found on the heel of a trainer belonging to Danny and on the cuff of a sweatshirt belonging to Ricky. Two scientists withthe Forensic Science Service had missed the stains during the first investigation. Sian Hedges admitted the ‘clearly visible’ spot on Danny Preddie’s trainer heel had not been picked up but could not explain the blunder. Supervisor Owen Gayle, independently missed a smaller 4mm blood stain on the cuff of a sweatshirt found in the home of Ricky Preddie, then 13. A new examination of all suspects’ clothes for fibres from Damilola’s school jumper also pointed to the Preddie brothers and a street mugger known as Hassan Jihad. None of the original four defendants A, B,C or D were linked by any forensic evidence. The first investigation also ignored other circumstantial evidence pointing to the possible involvement of Ricky Preddie, who was left handed. Doctors found two old healing lacerations on the palm of his left hand after his arrest which could have been caused by shards of glass. Ricky Preddie had also been seen visiting the crime scene two days after the murder while grieving relatives paid their respects. Two new witnesses then revealed how the brothers confessed to the murder in the weeks after Damilola’s death. Ricky Preddie boasted to one resident of a children’s home how he ‘juked’ Damilola and told another his younger brother was trying to rob the schoolboy. ‘He was telling us that Danny had been having an argument with Damilola,’ the witness said. ‘He said it wasn’t supposed to happen like that. ‘He said it started off as a robbery for his jacket. It was a silver puffa. ‘Because of the argument that happened, that’s when Danny called Ricky. The second trial also highlighted how Danny Preddie may have been given an alibi by lazy social workers at his children’s home in Abbey Street. He had been to court on the morning of Damilola’s death because he was caught unsupervised on a patio area near a wall used by residents to escape. Staff placed him on 24-hour curfew and the log book recorded him as being in the home within 15 minutes of the killing. Bizarrely this led to the prosecution calling into question witnesses and evidence they relied on at the original trial to exclude other suspects. He said: ‘People make mistakes. The scientists who missed the blood, the staff at Abbey Street who missed his absence, the search officers in this case who mistook exhibit references. ‘Their failings do no more than reflect the frailty and vulnerability of human nature. The Preddie brothers were cleared of murder at their first trial but convicted of manslaughter at the retrial in mid 2006. 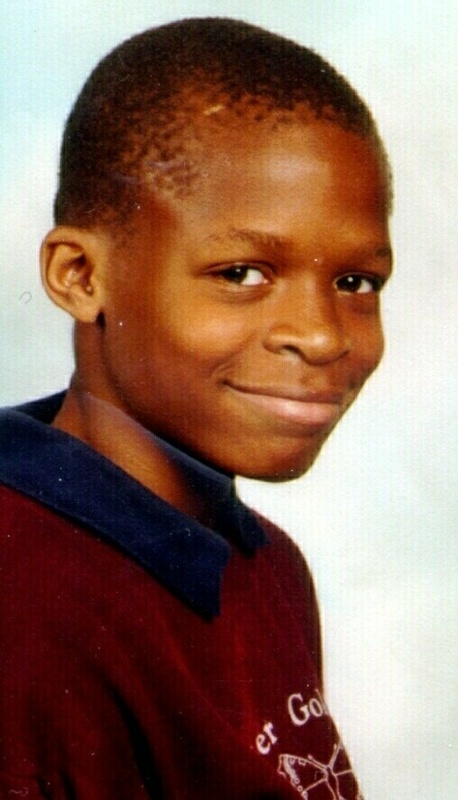 After six years and a £15 million investigation, the parents of Damilola Taylor had finally found justice for their son.